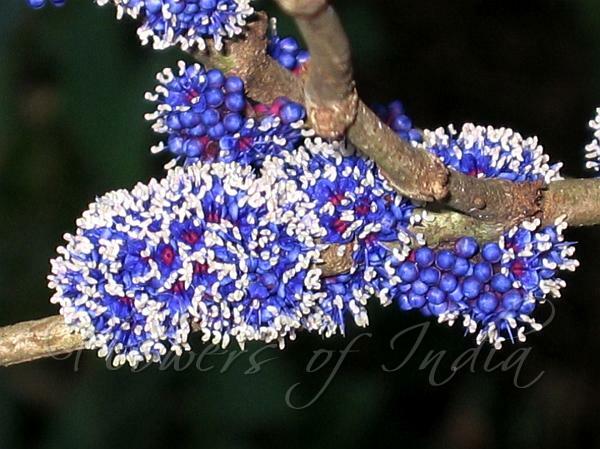 Deccan Memecylon is a large shrub to small slender tree, with branchlets nearly round. Leaves are oblong-lanceshaped or elliptic-oblong, pointed or tapering, base rounded, hairless, brown on drying, to 12 x 4.5 cm; lateral nerves about 15 pairs, slender, faint. Flowers are mostly fascicled on tubercles; flower-stalks slender, 2.5 mm long. Calyx is cup-shaped, sepals obscure, pink. Petals are blue. Berry is black, 1 seeded. 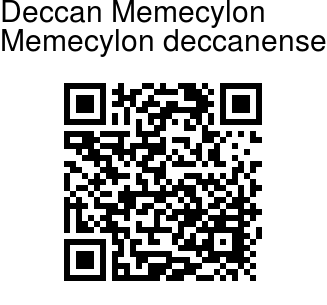 Deccan Memecylon is endemic to the Western Ghats - South Sahyadri and North Malabar. Flowering: January-March.